On the occasion of the 40th session of the United Nations in Geneva, MAB fulfills an international agenda with official debates of the organization and also in universities. Since last week, members of the coordination of the Movement of the People Affected by Dams are in Europe to denounce the violations that occurred in Brumadinho and other regions in Brazil and to disseminate internationally the position of Vale towards those affected – slowness to give concrete answers after the crime. Next Friday (15), there will be a meeting of Brazilian civil society with the United Nations High Commissioner for Human Rights Michelle Bachelet, where MAB will have the opportunity to speak with the High Commissioner of the UN Human Rights sector. 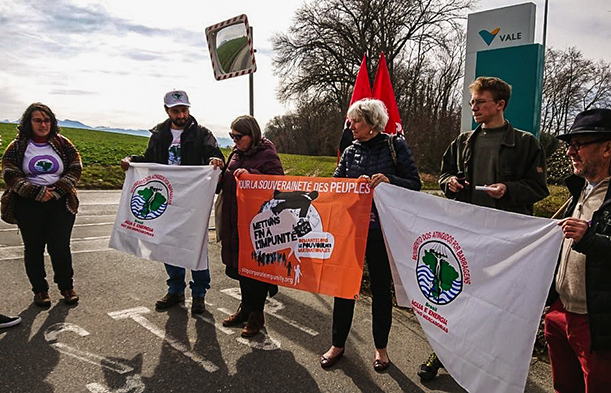 The agenda in Switzerland, along with members of political organizations, began in front of the headquarters of the transnational Vale in the Canton Vaud. The victims handed over to the company’s shareholders a copy of the agreement signed on February 20 by Vale’s lawyers at the Minas Gerais Court of Justice, which established the payment of emergency aid and so far, almost two months after the breakup, has not yet begun to be fulfilled. “Here we have the opportunity to denounce, we are calling for international solidarity to bring justice to the people affected,” explains Moisés Borges, coordinator of the movement. In a public lecture at the Geneva University Letícia Oliveira do MAB, addressed the theme highlighting the environmental and social consequences in the state of Minas Gerais, with the crimes of Mariana and Brumadinho. Oliveira also participated in the women’s fight on March 8th in the city. 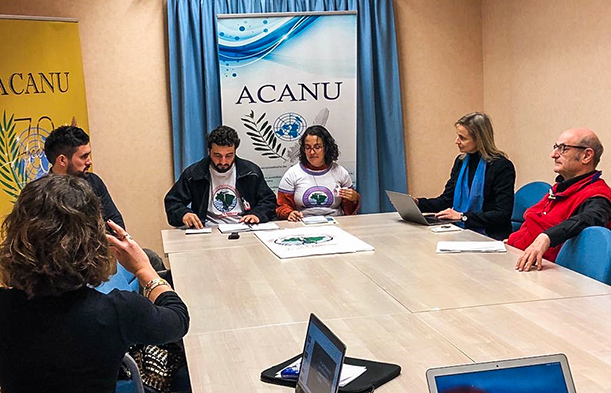 The Global Campaign to Reclaim Peoples Sovereignty, Dismantle Corporate Power and Stop Impunity (Global Campaign) organized a parallel seminar with the participation of both Brazilian affected by dams. “The irresponsibility towards the people affected is a total disrespect” says Borges. Still on the agenda at the UN, Moises Borges spoke at an official meeting of the 40th session of the Human Rights Council and highlighted the impunity of transnational corporations such as Vale in cases of violations. On Wednesday (13), MAB participated in a press conference in the European Parliament also in the perspective of reports on the crimes committed by Vale and other companies responsible for dams in Brazil.